The "Romantica Ring" is a Beautiful Ring to wear at your finger. Design and Glamourous, it'll turn your style into a romantic one, perfect for your partner's birthday, a Wedding, a Party or the Valentine's Day. No hestitation, this georgous object'll become the Romantic Touch of your Luxuriest Styles ! Here is your 3D printed Jewelry, Bracelets, Pendants and Necklaces, Rings! 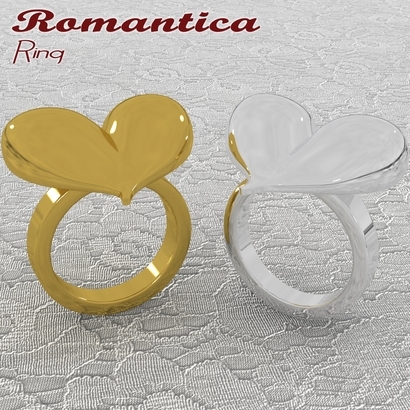 Romantica Ring was designed then shared by MichFuert so you could customize it, make it as you want then use it often! Pick more than 75 different 3D printing elements to conceive your 3D printing model so it corresponds to your style of living or the desire and style of the mate you want to gift it to. Pick out the 3D printing material that fits your personality, the tint that matchs your personality, the proportion you would like your Romantica Ring in and you will get it 3D printed very quickly. Thanks to the marketplace by Sculpteo, you can modify this conceptby MichFuert and instantaneously get an idea of how the 3D printed item will appear. 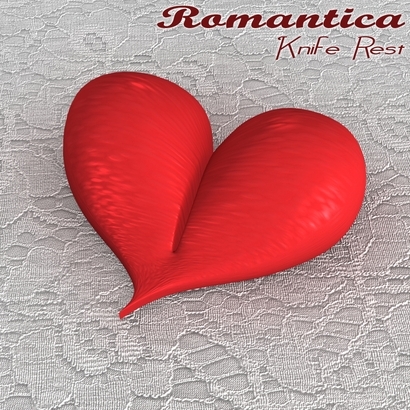 If you happen to doubt or aren't a 3D printing adept yet, we'll also deliver you recommendations to optimize your Romantica Ring and make the best of the talent MichFuert insert in it to create a really unique and customized Jewelry, Bracelets, Pendants and Necklaces, Rings. 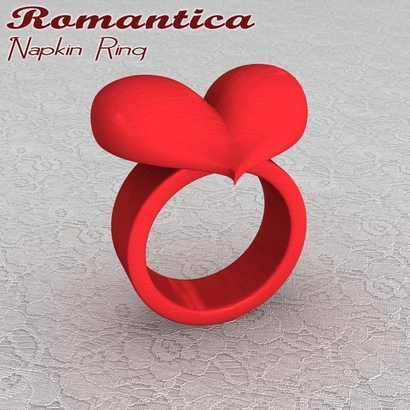 If you want to obtain Romantica Ring 3D printed for yourself or for a friend you will let you to track it until it reaches you. You are able adapt the details of this 3D model and reshape bits to truly obtain a one of a kind of object, do not hesitate to add details and make this 3D printing project even more unique and fitting your temper. 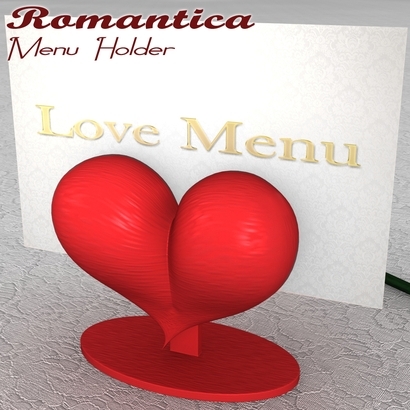 And if you love Romantica Ring, don't omit to examine other 3D models imagined by MichFuert to create other amazing 3D printing projects.